Is a Condo a Townhouse or an Apartment? What is a Condo? A Townhouse or an Apartment? Always a bit confusing. Townhouse, Condo, Apartment, Multi-Family, Single Family, Attached, Detached....Huh?! I know it's confusing right? Even Wikipedia get's it wrong in their explanation, "a condominium may simply be defined as an apartment that the resident owns instead of rents"
Let me explain...A condo is a reference to the type of property where you own the unit that you have purchased and where your name is on title but you also own a share in the common property as well. Things like elevators, gardens and rec facilities. So, by that definition then you can see a condo can be a Townhouse OR an Apartment. I think that the term Condo is widely used and misunderstood as most people imply it to mean an Apartment style when it can be both. 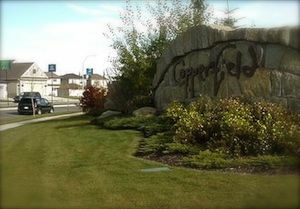 There are a lot of townhouses in Calgary that are not condos. A lot of them are typically attached homes with one neighbour, you might think of these style as a 1/2 duplex. Nice thing is there are no condo fees associated with this style of property. The downside is that you are really going to need to like your neighbour. Why? Well because there are no rules stopping them from changing the colour of their siding to pink. Or if you want to build a fence and your neighbour doesn't you might be on the hook for it. What you need, honestly, is an Agent that knows the differences, knows the areas that have these style of condos and townhouses. Who might I be talking about? Well me of course, who'd you think? Seriously...if you are interested in learning more give me a call at 403-827-7527.